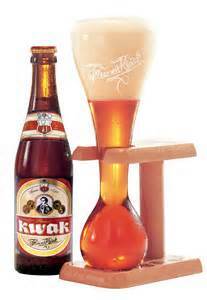 Kwaktoberfest with La Trappe Cafe and Brouwerij Bosteels Thursday, October 16, 2014 5pm – 11pm Kwak and Tripel Karmeleit on tap Free Kwak Glass with Kwak draft purchase while supplies last. La Trappe Cafe will be televising The NLCS Baseball Championship street level. Go Giants!